I’m sure you’ll agree there is no shortage of blog posts out there on how to market your blog or business (or both) on Pinterest. 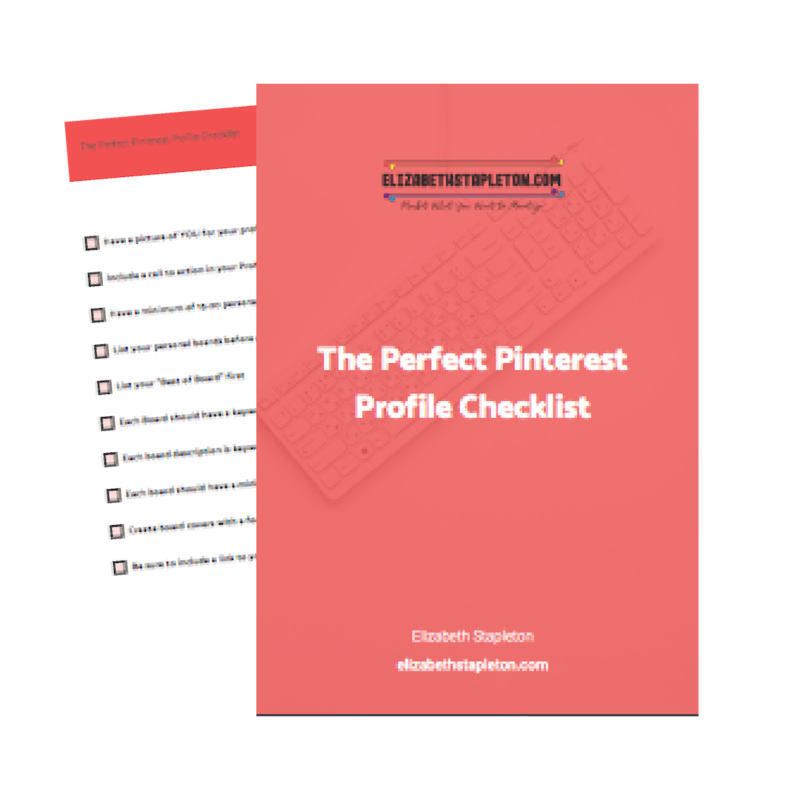 However, very few dig into setting yourself up with a solid foundation for Pinterest…. I’m talking about all the ways you can maximize your Pinterest profile for success, which is what I’m going to cover today. I know this seems like it would be obvious, but it’s really not. Do you use your name? The name of your blog or business? Your name plus a keyword? Keeping in mind that you’re limited to just 30 characters. Ideally, you can do some combination. For my other site, I use my site name and some keywords. Though you will likely notice that it is longer than 30 characters. This is because there didn’t used to be a 30 character limit and that profile name is grandfathered in. The reason to use something besides just your name is to make your profile more searchable. Perhaps someone wants to find an expert in the personal finance field, they may search terms like “personal finance” with the “people” filter and so my profile could show up. Your name is just one place that you can optimize for search, let’s move on to some of the others…. You’ve likely heard that you should have a minimum of 15-20 boards. You may have even set up 20 boards, but when was the last time you looked at them? Also, you can totally have more than 20 boards and make some new ones can help. First, the board title should ALWAYS include a keyword you want to “rank” for, drop cutesy stuff and make sure the keyword is first. This is because long board names can get cut off so you don’t want them to see your site initials and not the keyword because then they will have no idea what the board is about. Anything that could be a category on your blog or in your store could and should be a board. Do not just do boards about anything, if it’s not related to what you do, it’s not helping you. Then start searching for those categories on Pinterest and see what other topics pop up, consider making a board about those topics as well. Finally, make a single “best of” board that exclusively houses your content. Any guesses as to what my client writes about on his website? If you guessed reviews of running gear and how to be a better runner – you guessed right! Your boards should give someone an idea of what your blog or business is all about, just based on the names of all the boards. Which means any personal boards shouldn’t be public. I definitely have a board on pixie hair cuts, it is nowhere to be found on my profile, it’s a secret board. Personal boards on topics that have nothing to do with your website should be secret, you can do this my toggling the “secret” option in board settings. Another reason to use keywords, board names that include a keyword are likely to be found when that keyword is searched for on Pinterest. Remember, Pinterest isn’t social media it’s a visual search engine. Which brings us to another place to optimize with keywords, your board descriptions…. When you click the “pencil icon” above your board name, it opens up a window showing board settings. While there aren’t categories for every niche, you’ll want to select the one that most closely relates to the board topic. The second is your board description, you want to be sure to incorporate keywords here but do not, I repeat, DO NOT keyword stuff. Don’t just list out a bunch of keywords for your descriptions, Pinterest is not a fan of this practice. Instead, use sentences that incorporate as many keywords as possible. Remember, the pins on the board will also give context to the board so don’t worry about stuffing too many keywords in the description. Just write what people can expect from the board. Learn all about starting a business, earning more money, and getting eyes on that business with the greatest marketing tips from the best blog posts elizabethstapleton.com has to offer. Marketing your blog or business on Pinterest is a great way to grow your business. On this board, you’ll find Pinterest marketing strategies and tips for business and for bloggers. Find out how tools like tailwind can help you to make money from Pinterest marketing with or without a blog. You learn how to use and how to grow Pinterest with the ideas and tutorials on this board. Also, learn about the best courses and guides to help you learn even more. Notice how in each I’m writing like a human and not just listing a bunch of keywords out? While what I’ve already covered represents the bulk of optimizing your profile for Pinterest, there are a few other things you should do. First, craft a human-friendly profile description and end it with a call to action. 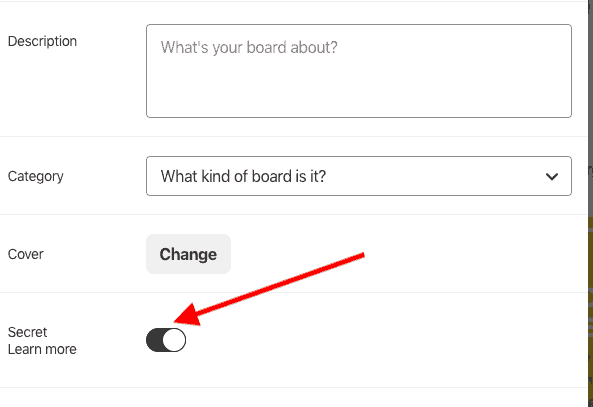 Second, choose to have your boards ordered by drag and drop, otherwise, they will constantly be moving around or ordered alphabetically which when you have group boards too looks cluttered. Third, as the background of your profile header, choose your “Best of” board so it showcases all of your content rather than your most recent pins. Okay, now you may be wondering is it worth doing all this work? Yes, because it will help your profile, boards, and content, get found which is evidenced by how quickly your monthly views will go up after you optimize your profile. Amanda from Amanda-Page.com saw her monthly views jump over 2,000 in a day just from making tweaks to her profile. When I started my rebrand and applying it to Pinterest, I saw similar jumps in my monthly views (different from pageviews), which helps because the more people you reach the better chance you have of someone clicking through to your site. It doesn’t have to take long to make the tweaks, chances are you could do it in an afternoon with a glass of wine. I told you in the introduction that I’d give you my Tailwind affiliate link. It didn’t really fit in with the content of the post, but I’m a woman of my word so…. If you click on the link and do not already have Tailwind you will get 1 month free. If you end up purchasing Tailwind I will receive compensation from Tailwind at no cost to you, here is that affiliate link to Tailwind. I also have a video on how to get started on Tailwind – you can check it out here.